Please select options for BBK 90mm Throttle Body (11-14 GT) at the top of this page. 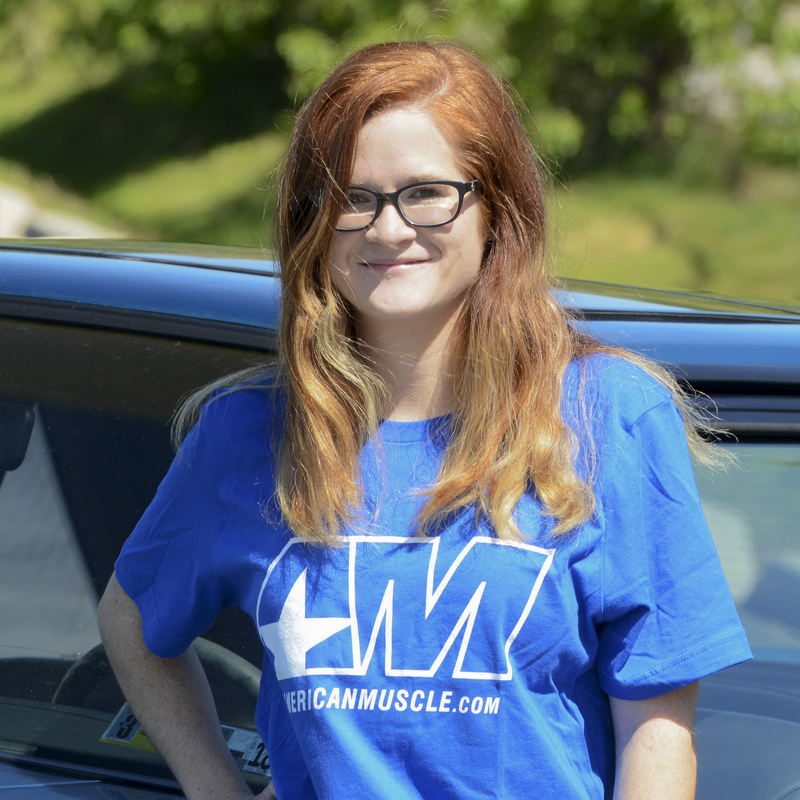 Hey guys, Stephanie with AmericanMuscle.com, here with the BBK 85mm Throttle Body for 2011-2014 GT's and 2012-2013 Boss Mustangs. The BBK 85mm Throttle Body is going to be for the Mustang owners out there that already have some supporting mods and want to make sure that they're allowing as much air as possible to get to the motor. A throttle body isn't a mod that's going to add a ton of horsepower by itself; it usually works best when you've already started modding and need to make sure that the throttle body isn't acting as a bottleneck anymore. What you're really going to notice with a throttle body is more along the lines of throttle response, and not so much horsepower and torque gains. Most people tend to think that bigger is better when it comes to modding and that isn't always the case, especially when it comes to an item like a throttle body. 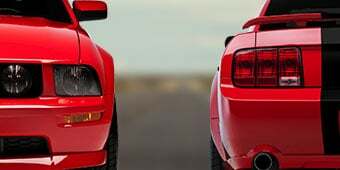 Bigger does cost more, but the fact is that mildly modified or stock Mustangs do not have enough airflow to fully benefit from the larger throttle body, and if this is the case, then installing the biggest throttle body is only going to hurt performance and reduce throttle response. The current mods and the goals that you have planned for your car are going to determine which throttle body you will need, so you can utilize a bigger throttle body for more airflow and improve throttle response. The GT and Boss came from the factory with an 80mm throttle body, so bumping up to this 85 is opening up some airflow without a doubt. Just compare the 85 to your stock throttle body and you'll notice a difference. But if you've got a car with some big mods or a forced-induction car, BBK does have a 90mm option. Just keep in mind that bigger isn't always better, and that you want to make sure that you actually need the 90mm so you won't be hurting performance. You also have to keep in mind that there is a pretty big price difference between the two options. So, just like your basic bolt-on modification, neither of these throttle bodies require a tune to run or work on the car, but I will say that a tune will definitely help to get the most results out of the throttle body. The throttle body's going to be a lot like a cold-air intake in the sense that it helps the car for sure, but you're not really going to notice any more horsepower as you're driving along. What you will notice, however, is going to be improved throttle response. Looking at these guys a little bit more, this is a CNC-machined, 356-grade, aluminum body. Now, BBK promises an OEM quality and a perfect fit, and right now I can tell you that it does look like OEM quality, and we're going to install this here in a minute so we can talk about the fit then. The throttle body also has some other great quality and some beefed up components. I'm talking about things like OEM die-stamped throttle linkages and double-sealed bearings, and these are things you like to see on an aftermarket throttle body. I mentioned the 90mm option from BBK earlier, and this is the largest available option for the stock intake manifold at this time. Ford Racing does also offer a 90mm option as well, but it's a little bit more expensive and you do have to purchase an aftermarket adapter plate in order to run it, whereas both BBK options are a straight bolt-on. This means that they already include all the necessary drive-by wire electronics, so it's going to be ready to go right out of the box. I'm going to keep with what I said and still say that this is a basic bolt-on. It's going to be a one out of three wrenches on the scale and should take about an hour to complete. You will need a few different socket sizes, a ratchet, and a 5mm Allen wrench. BBK suggests you reuse the stock throttle body gasket so that's what we're going to do with our car here today, but you can always pick up a new gasket easily if you don't want to reuse yours. There are a few things that you'll have to get out of the way before you start the install, like removing the strut tire brace if you have one, and the engine cover, and also disconnect the negative battery cable while you're at it. You can leave the sound tube on the inlet tube and leave it connected, but disconnect the smaller breather tube from the air inlet tube. The air inlet tube will need to come off and be set aside so you can get to the throttle body. There are only four bolts for the throttle body, so back those out, and as you remove the throttle body, flip it to unplug the throttle position sensor on the bottom. If you're reusing the stock throttle body gasket, remove any oil or debris and then ready the new BBK Throttle Body by first clipping in the TPS under the bottom. Use the supplied bolts to bolt the new throttle body up, reinstall the air inlet tube, and connect the breather tube. Tighten down all of the clamps, reinstall the engine cover and strut tire brace and after that, all that's left is reconnecting the negative battery cable. Wrapping things up here, the BBK 85mm Throttle Body is made from a high-quality aluminum casting. 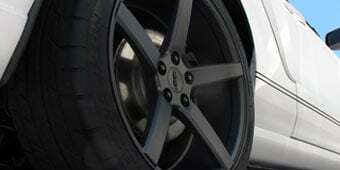 It will allow for more air flow and it's a direct bolt-on install that doesn't require any tuning. All of the electronics are pre-installed and the throttle body is ready to bolt on from the box; you don't need to purchase anything extra to make it work. 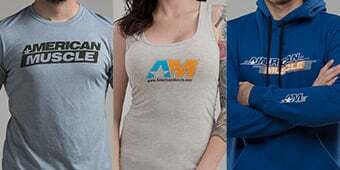 You can check this throttle body out, along with the 90mm throttle body, online and for all things Mustang, keep it right here at AmericanMuscle.com. Excellent Performance Gains.Replace your restrictive stock GT throttle body with a BBK Power Plus Series Throttle body that features a generous, free flowing 90mm bore design. It is a simple, direct bolt-on install that does not require any computer tuning to enjoy the newly discovered power you have put on your drive-by-wire 2011-2014 Coyote powered GT Mustang. No Tune Required.The BBK 90mm Throttle Body provides some impressive performance gains without the need for a tune. A handheld tuner, like our popular SCT SF4 Custom Tuner, is highly recommended. This will allow your new throttle body to pump out even more performance, and you'll enjoy better results from other current or future bolt-on mods. Quality Construction.This BBK Mustang throttle body is CNC machined from high quality 356 aluminum to ensure OEM quality and a perfect fit. Features like OEM die stamped throttle linkages, double sealed bearings, and o ringed throttle shafts make this throttle body one of best on the market today. Bolt-on Installation. The BBK Throttle Body is a bolt-on installation and requires no custom modification or additional fabrication to your intake manifold. This throttle body also plugs directly in to your ECU without any additional wiring required. Application.This BBK Power Plus Series 90mm Throttle Body is specifically designed to fit the 2011 to 2014 GT and BOSS Mustangs with the 4V 5.0L Coyote V8 engine. 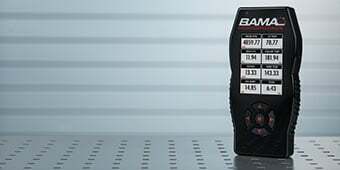 What BBK Throttle Body works best with my 2012 mustang Gt 2012 Mustang GT auto transmission, 3:55 gears, Airaid CAI, Bama costum tune, BBK long tube headers, BBK Caded Shorty X-pipe, Borla Stinger S-Type Mufflers. I own a 2012 GT 5.0 auto as well. I have this 90mm TB bolted to my BOSS 302 manifold with a Steeda CAI. AWESOME set up. I also have 4:10 gears. LOVE THEM!! I have a 2011gt with c&l cold air,bama tune, and boss intake. Would I get better performance from the 85 mm or 90 mm throttle body? I have a 2012 GT with the same modifications (Just an Air Raid CAI). If it were me and I was going to make that investment, I would go with the 90mm if only because the stock throttle body is 80mm. It doesn't seem worth it to put $400+ for the 85mm. I also believe the 90mm will help down the road if you decided to do heads or valves. Plus at the end of the day, more air can't hurt. 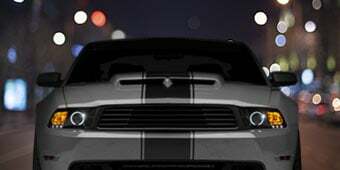 I have a 2014 Mustang GT, 6 speed with a Roush CAI, Barton short throw shifter, 1inch throttle body spacer, Magnaflow outlaw mufflers, and a Bama 93 octane race tune. In my opinion it's not worth $500 to shell out for a 85 or 90 throttle. 5mm or 10mm over stock 80mm is not worth it. I could see it if you are going to do cam and valve work or upgrade to 47 pound injectors. You have a Boss intake so I could see you want more more air flow and fuel. Again this is my opinion and don't want to dis-encourage anyone that will make our Mustangs better than stock. 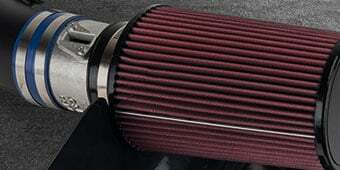 Would there be an improvement by adding the sr spacer with the bbk 90mm throttle body? The SR spacer would not be compatible with aftermarket throttle bodies. So Im debating on the Ford 90mm this 90mm on a 302 boss manifold. Does one out preforme the other? 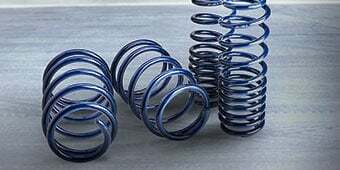 Hello, Why does the 90mm Ford racing TB require a tune? But the BBK 90mm TB does not? 90mm bore throttle bodies work great on heavily modified or force inducted GT Mustangs. Stock or mildly modified GT's do not flow air enough to benefit from this larger Throttle Body. Some customers still want to upgrade to this throttle body though. Alone, the BBK throttle body does not require a tune but one is recommended to see the gains from it. 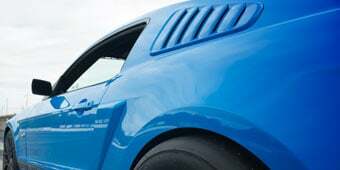 Heavily modified Mustangs usually have custom tunes on them and either throttle body can be included in a custom tune. 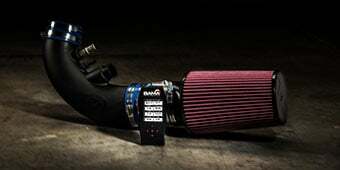 The BBK 90mm Throttle Body will work with your 2013 Mustang GT equipped with a K&N Blackhawk Cold Air Intake. We have not tested the BBK 90mm Throttle Body on the 2018 Manifold, but believe this would fit. Yes, this throttle body will work with the C&L Street Cold Air Intake w/ 95mm MAF. This will require the use of the included spacer for use on the stock manifold only. This tuner doesn'trequire a tune. Tuning is recommended for the best performance, however, and I have not heard of any issues tuning this throttle bottle. I would reach out to Bama to clear up any concerns. The BBK 90mm Throttle Body will reuse the coupler that comes with an aftermarket cold air intake or the factory one. If you do not have either, it will require a coupler that fits snug on the edge of the Throttle Body. The BBK 90mm Throttle Bodywill require the use of the included spacer/adapter for use on the stock manifold. For your setup, both the BBK 90mm Throttle Body and the BBK 85mm Throttle Body would work well. The 85mm would be more ideal if you plan on no future mods, but the 90mm will provide more room for growth with future mods. Currently all stock throttle bodies for the 5.0 are an 80mm Throttle body. If you have an aftermarket throttle body, like the BBK 90mm Throttle Body, then this should be an 85mm or 90mm throttle body. If there are no visible part numbers on your current throttle body, measuring the throttle plate is the best bet for determining throttle body size. 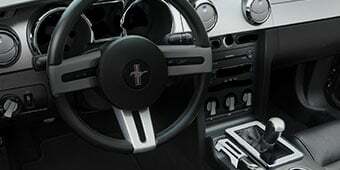 Increased throttle response, easy install a finishing addition with a boss 302 intake and cold air intake. Ordered this together with the Boss 302 manifold and JLT Cai. Combining it all together you can feel a great increase to throttle response and you can even hear the extra air being sucked in when you get on it! Big improvement over the stock 80mm throttle body. Have great high end horse power gains, with little to no change to my low end torque as well. Last but not least looks great on the car. The throttlebody easy to install took about 10 min. You can tell the difference, A lot better throttle response and it looks great under the hood. I was hesitant on buying based on the price, but I received a 15 off coupon. So why not?! It definitely opens up my CAI. You can hear my car sucking in tons of air now. So... Upon receiving this and giving it a thorough once over I decided to throw it on. Installation AFTER having to grind on it was a breeze. The plastic molded plug on the TB was slightly angled in and female plug was not a plug and play... I had to get out the dremel and start hacking on this $500 direct fit... And then after I finally get the plug to fit I go to bolt it on. The top left bolt, which was supplied by BBK, wouldn’t even fit into the hole. I tapped out that hole and tried again. Still a no go... The head of the bolt kept catching on the body. So, back to the dremel to make this “direct fit” actually fit. Overall a good product for what it does but there was definite modification to make this plug and play. Bolted on in just a few minutes. Ran perfectly fine with no tune revision. Like everybody else has said , probably no real top end horsepower. But it helps with the soggy low rpm throttle response if you have a Boss manifold. I think it was worth spending the money. Great product, bolts right on, had few issues since the throttle body is larger my existing boot that connected the air intake to the throttle body didn't want to fit over the new larger throttle body. Really livened up my 5.0 after adding the BOSS intake. Considerable difference and an easy install. Fit is perfect. Had to boil my the coupler to get it to slide over the throttle body. Worked perfectly. Didn't notice much of a performance gain but it did stop the rpm fluctuation and it no longer stalls. I would recommend the BBK 90mm throttle body if you have a Boss 302 intake and a JLT CAI. I takes the airflow restriction away and system breathes better. I love this!!! Adding this Throttle Body really woke up my Mustang. The BBK 90mm Throttle Body paired with my 302 Intake, JLT Performance Cold Air Intake, and Custom Bama Tunes, this Mustang is quick!!! I had a problem when it arrive because the o'ring was missing from the package. Got in contact with BBK and they sent the replacement. Not a big deal. Perfect fit and took 20 min's to install. BBK 90mm Throttlebody makes power! Easy installation that took me 15 minutes to install. I noticed a power gain right away and now even more after the computer has adjusted to the added air. Worth the $. I also have a JLT CAI and run a 91(CA) Bama tune in an SCT X4 tuner and axel back exhaust. My car runs hard. Definitely will go low 12's or better.